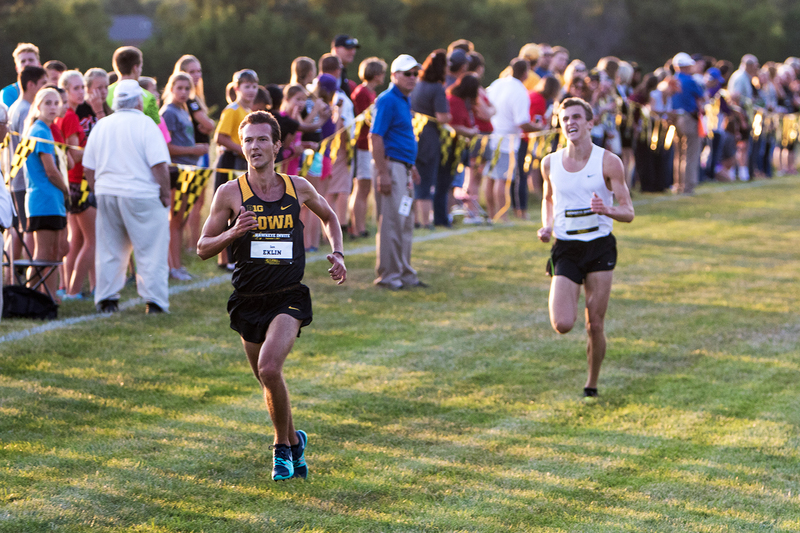 Iowa cross-country is heading to Nebraska for the Woody Greeno Invite on Saturday. 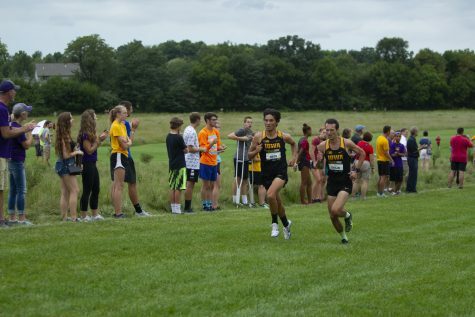 Ian Eklin kicks down a competitor at the finish line at the Hawkeye Invitational Cross Country meet on Friday, Sept. 1, 2017. 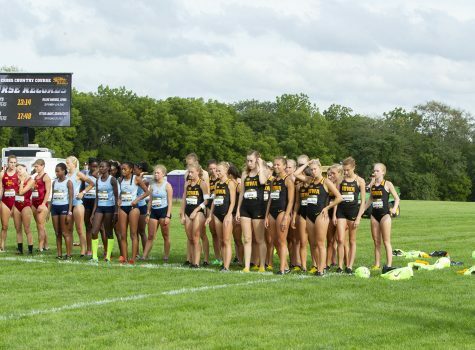 After two weeks off, Hawkeye cross-country will travel west for the Woody Greeno Invitational in Lincoln, Nebraska, on Saturday. The women will start the competition with the 6,000 meters at 9 a.m., and the men’s 8,000 meters will follow at 9:45 a.m. 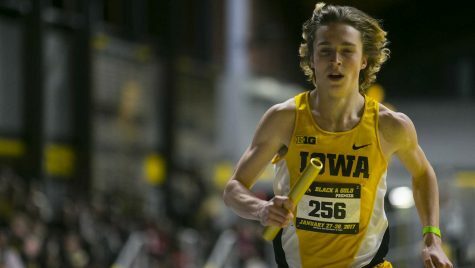 It will be the first time this season that the Hawkeye men and women face the NCAA regulation race lengths. 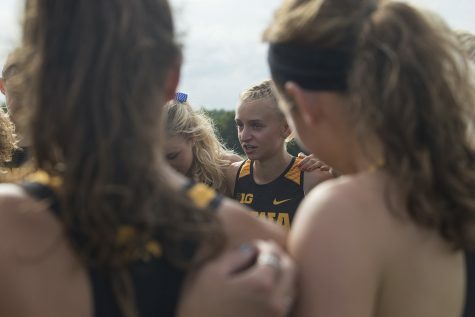 For the returning Hawkeyes, the distances will be nothing new, but for the newcomers, the women’s 6K and men’s 8K will be the first true taste of college racing. This weekend, Iowa will face four Big Ten teams: Michigan, Minnesota, Rutgers, and Nebraska. The teams will provide a preview for the Big Ten Championship at the end of October, also hosted by Nebraska. 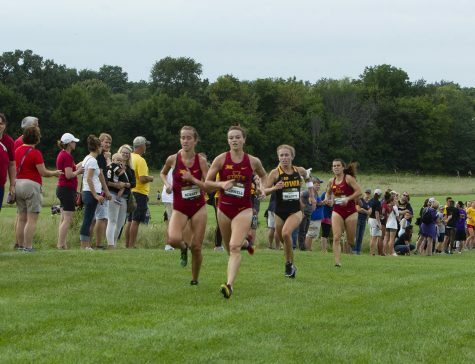 As a result, Iowa will run the same course this weekend as it will at the Big Ten meet. In addition to the competition from the Big Ten, the Hawkeyes will face the Midwest Regional rankings. The regional rankings for Week 1 were released Sept. 9, and the Iowa men remained at No. 8 in the Midwest region and this weekend will face No. 4 Minnesota, No. 9 Nebraska, and No. 11 South Dakota State. The women jumped two spots to No. 10 and will compete against No. 2 Minnesota, No. 4 South Dakota State, and No. 15 North Dakota State. But do the rankings determine the result? 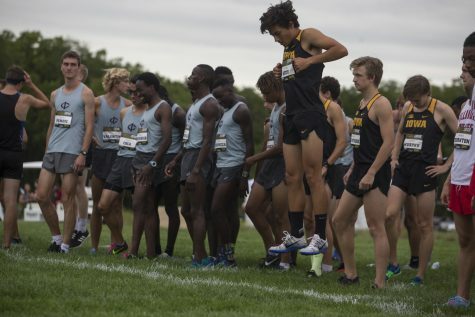 At the 2017 Woody Greeno, the Iowa men placed first despite the No. 12 Midwest Region ranking they had going into the meet. 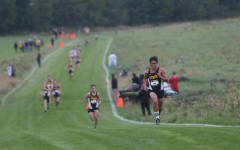 Four Hawkeyes finished in the top 10: Nathan Mylenek and Ian Eklin led with a 1-2 finish, followed by Daniel Soto at fourth and Brandon Cooley at seventh. The same goes for the women. 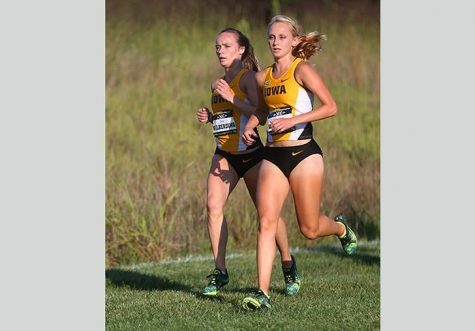 Heading into the 2017 Woody Greeno, the Iowa women were ranked No. 12 in the Midwest Region, and they finished third. Andrea Shine placed first in the women’s 6,000 with a personal-best time of 21:39.9.